What Can you Throw in a Dumpster Rental? 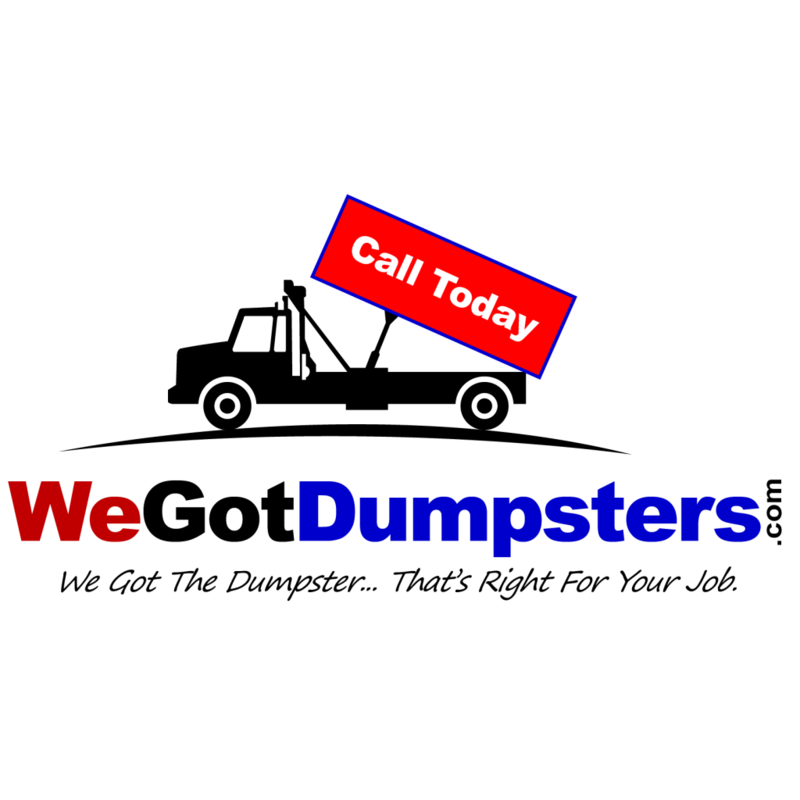 Just as there are guidelines relating to what you can toss in your trash can… there are also rules to follow of what you can place in your roll off dumpster rental. These guidelines are in place for Eco-friendly motives as well as local and state protocols related to proper waste disposal. 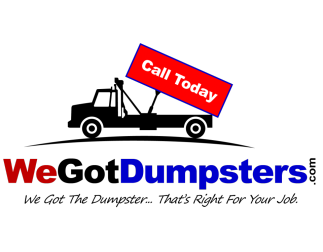 Always discuss the different types of waste or debris you are disposing of with your dumpster rental company. They will help safeguard that you realize what is allowed and what is not. What am I allowed to throw in a dumpster? Most any non-hazardous waste, junk or debris is allowable. A short list of permitted items includes: construction & demolition debris (C&D debris), trash, furniture, roof shingles, siding, yard wastes, appliances (some exceptions), wood and flooring. Sofas, tables, chairs—almost all types of furniture are allowed in dumpsters. But, in some locations, upholstered furniture and mattresses are not permitted in landfills; and in others, you can throw furniture and mattresses in your dumpster rental. This can occur with additional fees dependent upon your local area’s protocols. Always be sure to check with your dumpster rental company about the types of household junk and furniture removal they permit in their dumpsters. 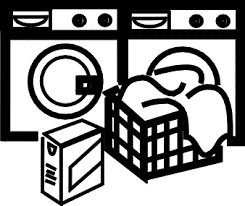 Refrigerators, Air Condition Units, Washers and Dryers—most general household appliances removal are allowable to be thrown away in a dumpster rental, but all unsafe fluids and mechanisms, like freon, must be removed first. If you desire to get rid of a Freon-containing appliance, you will need to hire a qualified expert, like an appliance repair expert or HVAC pro, to remove the refrigerant before disposing of it. Learn additional info about safe disposal of refrigerated household appliances. Analogous to this, some programs also offer markdowns towards the purchase of modernized ENERGY STAR® qualified models, this should be something to ponder. Find out if your area offers bounty programs by communicating with your electricity provider. 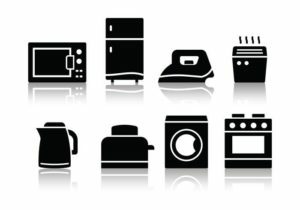 TV’s, computers, printers, and other electronics are frequently accepted in most dumpsters, but if you have bulky amounts of electronics, like in an office clean-out, you will expected be required to recycle them as e-waste. In those cases, it is common that a supplementary charge will be applied per item in order to cover recycling costs. In some areas, local guidelines do not allow electronics to be places in Roll-Off Dumpsters. Please confirm and be sure to check with your dumpster rental company. Branches, trees, grass, brush, and other green waste are permissible in most dumpsters’ rentals. Nevertheless, whether a dumpster company will admit yard waste depends on your area’s guidelines. In some places, you are restricted on the amount of green waste you can send to a landfill. But others… you can fill a roll-off dumpster to its allowable limit. Tip: Many companies offer a “clean-load” option for dumpster rentals at a reduced price. “Clean-loading a dumpster” means only loading one specific type of recyclable materials into the dumpster, e.g. concrete, yard waste, etc. The materials are then recycled and sidetracked from the landfill, so you save the environment and your wallet! Toys, draperies, flooring, old documents, cardboard, and similar non-organic trash can all be put in a dumpster rental, as well. Construction debris removal consists of heavy debris, like asphalt, concrete and brick, can be thrown in most dumpsters, but due to its weight, some dumpster rental companies necessitate the use of specific dumpsters built for heavy materials. Learn more about renting a dumpster for concrete. Asphalt roofing shingles are additional heavy debris that can go in a dumpster. But there is sometimes a fee connected with shingle disposal. Please ask the dumpster rental company you get quotes from about whether they charge additional fees for roofing shingle disposal. Keep reading about roofing shingle disposal. 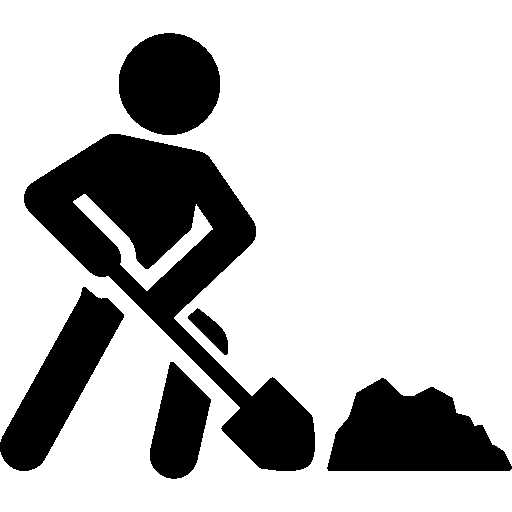 Find an asphalt shingle recycler nearby…. Drywall, wood materials, siding, and other construction & demolition debris can go in dumpsters. With heavyweight debris, dumpster weight limits are particularly important. If you go over the amount of weight included in your quoted price, you will have to eliminate the extra weight or pay overage fees—either of which would cause a bad serious headache. Please learn more about dumpster weight restrictions to avoid any surprise cost or other unplanned budget issues. To safeguard you get a great deal, you need to learn more about dumpster sizes and dumpster pricing. If you are a 1st-time renter, our Why Rent From Us is a great place to start. Dependent on the size of your job and the type of debris you may have, you might only need a 10 yard or 20 yard dumpster… but if your project is bigger or on the heavier side, a 20 yard dumpster or 30 yard dumpster is likely your best option. 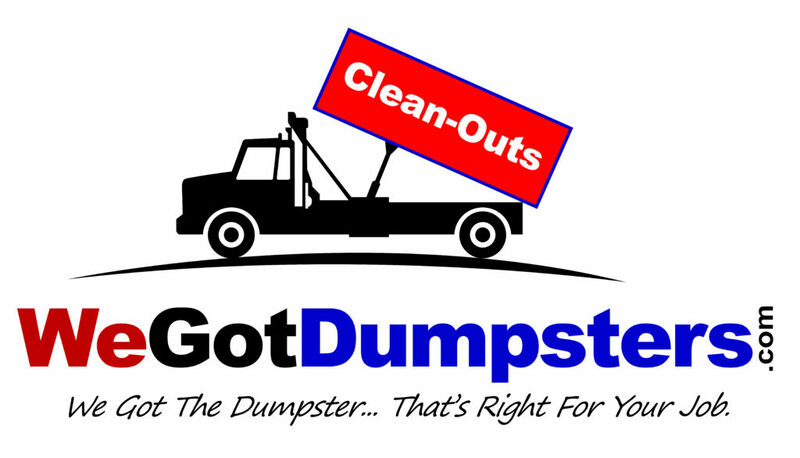 WeGotDumpsters.com is the best dumpster company to find the right dumpster rental provider serving your area.  Peruse the options in your area, read about our company, and contact We Got Dumpsters directly for a quote. What I cannot put in a dumpster? 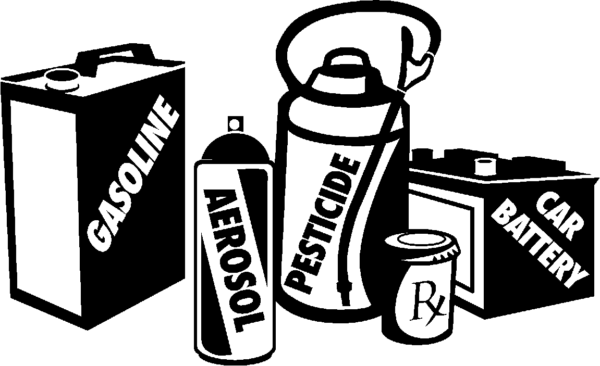 You can’t put any type of hazardous materials in your rented container, as well as wet paint, oil (other liquids), asbestos, sealed tanks/drums, electronics (e-waste), tires and some types of furniture. You will find more info below. You can’t throw paints, paint thinners, lacquers, or wood stains in a rental dumpster, with the allowance of latex paints. If you have surplus latex paint that cannot be re-claimed or recycled, allow the paint to harden by pouring it into a box with kitty litter or shredded paper. Once it is hard and dry, toss it into your rental dumpster. Empty or dried paint cans can be recycled with other metals in a curbside bin. Find a place to drop off your surplus paint & learn about recycling. What are the rules for removal of tires? Because many landfills in the U.S. do not accept tires, you can’t put tires in your rental dumpster. Nevertheless, there are various ways to appropriately dispose of scrap tires. One possibility encompasses taking old tires to your local auto parts store or tire dealership. Alternative opportunity includes finding a local recycler who will then convert old tires into rubber mulch. or asphalt. Pesticides, asbestos, motor oil and other automotive fluids, propane tanks, contaminated soils, household cleaners, ink and resins, absorbents, and medical waste should never be put in a rental dumpster. In many areas, there is a planned community collection events when people can drop-off their hazardous waste for correct disposal. 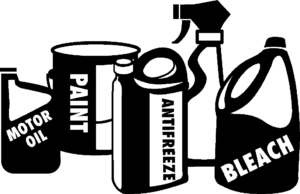 In many areas, you can similarly organize to have a household hazardous waste recycling kit sent right to your residence. This permits people to conveniently pack-up your trash and mail it in for environmentally answerable disposal. What are the rules for removal of batteries? Car batteries and dry-cell batteries can’t be placed into a rental dumpster because leakage of chemicals can harm the environment. In its place… recycle your car batteries by returning them to most any store that sells car batteries. Correspondingly, drop off old dry-cell batteries, like lithium, AA, and AAA, in selected bins commonly found in stores. Donate or recycle e-waste, like cell phones, computers, tablets or printers. Search for an e-waste recycler near you. Most auto part stores and repair shops will recycle car batteries. Occasionally… you can get a deposit for returning it to where you bought it. Take your used tires to a tire changing facility for salvaging. Or consider putting them on an Online Location such as Craigslist free. What you ponder as junk may not be junk to someone else! Can you throw away a TV in a rental dumpster? In most cases, No. But… some dumpster rental companies may be able to accommodate this request if you make prearrangements. You may experience additional fees for the e-waste disposal. Always ask if the dumpster rental company accepts TVs… never dispose of a TV in a dumpster. Should the rental provider accept TVs for disposal, it should be kept separate from the other wastes, junk and debris. Can you throw furniture in a dumpster? Yes, most furniture is tolerable, including wooden chairs, sofas and tables. Your local eco-friendly regulations may limit certain furniture from dumpster disposal, such as covered items or chairs with electronics built-in (e.g., massage chairs or hospital beds). Please check with your container provider if you have furniture that encompasses electrical components. Your best bet… if the furniture is still functioning please donate it to local charitable establishment – this is free for you and you get a tax write off. Can you throw tires in a dumpster? No, it is unlawful to throw whole tires in a dumpster rental. Though, some areas might allow cut tires to be thrown away in the general waste stream. Never put scrap tires in a dumpster without first discussing it with your dumpster rental company or provider. Can you place a Mattress in a dumpster? Not in all areas. Many municipalities charge a fee for mattress disposal, so rental dumpster companies in these areas will not allow you to throw a mattress in your dumpster – at least not without charging you an additional fee to cover this expense. Please advise your dumpster rental provider if you have mattresses to dispose of. Can I mix roofing shingles and construction debris with other trash and junk? Most container rental businesses desire construction debris to be separate from household junk & trash. Similarly, with roofing shingles, concrete & yard wastes. Many cities necessitate that roofing shingles be recycled, and the same is frequently true for construction debris. In these situations, dumpster rental companies require the dumpster to be clean-loaded or loaded with only one type of debris (e.g., concrete or roofing shingles, or metals or trash, etc.). 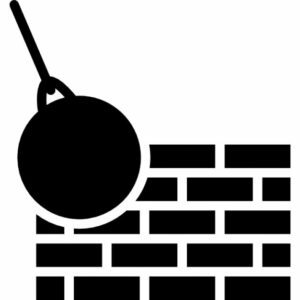 Frequently… you should not mix, concrete, yard debris, roofing shingles or construction debris with other wastes items. We Got Dumpsters – Demolitions gladly accepts jobs for residential, commercial and industrial demolition projects. We deliver both complete Baltimore demolition – clean-ups services. Our All-Inclusive bid includes everything from the actual tear-down along with trash removal & clean-up. Our demolition clean-up is a small segment of a service that includes cleaning the job site and hauling away debris. These services are perfect for a general contractor working on a home addition or remodel. We Got Dumpster- Demolition is well-equipped to handle a wide range of demolition jobs and you can trust our demo authorities to arrive ready with the essential tools to flawlessly complete your tear-down punctually. We recognize the value of keeping a job-site clean & safe. If you decide hire our team for a complete demolition and/or our demolition clean-up services. 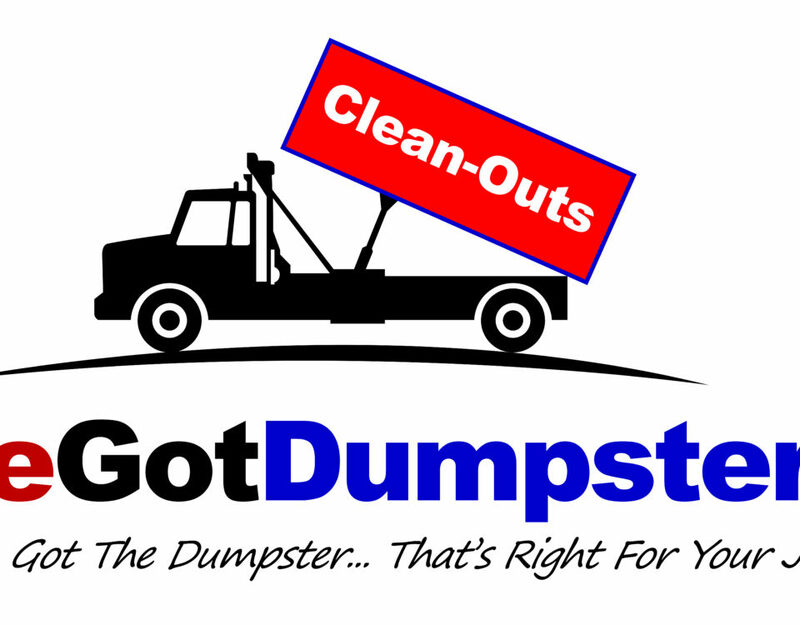 You can always count on We Got Dumpster- Demolition to clean-up and haul-away all of your debris. 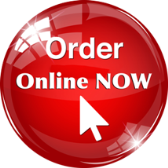 We endeavor to deliver our customers reasonable prices and along with our experienced staff. We will always work to finish the job swiftly and professionally. Our team has the understanding necessary… with a broad array of jobs, including everything from the demolition of residential kitchen and bathroom tear-outs and commercial demolition jobs.